1001freedownloads.com is one of the top free resources for web designers. You must save time from your schedule to think about some great resources for your need. 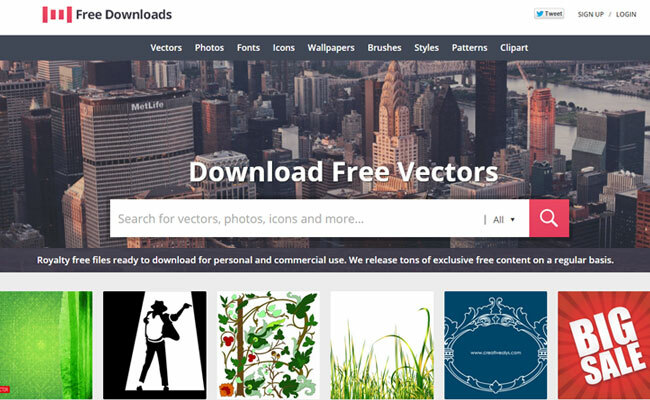 Here in this website you can easily get your desire design elements such as vectors, icons, images, fonts, wall papers, brushes etc. for free without spend so much time. All designers want flexibility when working in a project. You can download any freebies for personal and commercial use. You just have to create a free account where you permitted your free design elements also for better exposure. You should subscribe with your email address to update regularly with the latest content notification. They also offer a good platform for designers to hire designers for showcasing more exclusive content for 1001freedownloads.com. If you are a designer and interested to show your potential and want some extra money, just email them with sample of works.